The Colorado Lobbyists Association is the statewide professional society for Colorado’s lobbyist community. Membership in the Colorado Lobbyists Association means you make the strongest possible statement about your professional and ethical values. Your membership in CLA also means you want to more Coloradans to avail themselves of the expertise of our members. Our members are committed to integrity, good works and high ethical standards. Our association strives to inform our members of best practices, including professional and public education, in pursuit of their lobbying activities. Join us! CLA is managed by Civica, Colorado's largest association management company. • The satisfaction of knowing they support high ethical standards for the practice of lobbying in Colorado as well as the growth of the profession! 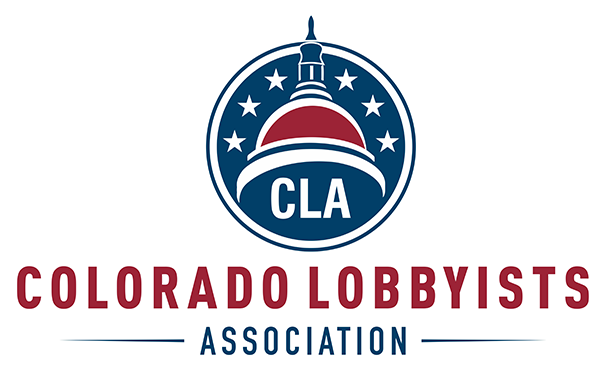 The Colorado Lobbyists Association is a professional society open to individuals who are registered as professional or state lobbyists in Colorado and also to individuals, groups and companies who support lobbying and other government-relations activities in the state.